Last month, we spent a few days at the beach with my Aunt & Uncle. 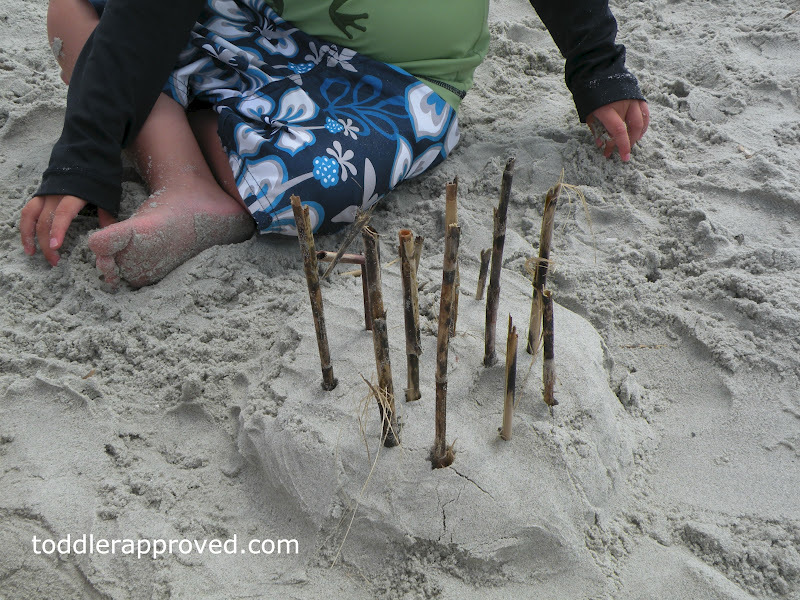 While the weather was perfect, the water temperature of the ocean was not so much - so we spent a good chunk of our time playing in the sand. 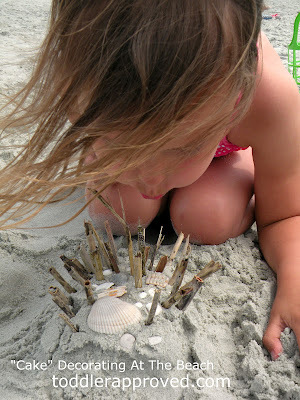 While little brother was having fun "smashing castles" at the beach - big sister was hard at work building "sand cakes". 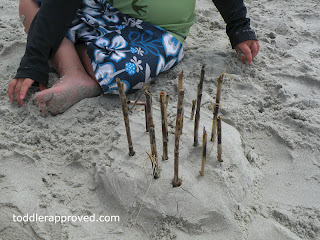 Using semi wet sand, we would create a mound in the shape of a cake - then push shells and twigs into the cake to create a masterpiece (of course, pretending we were filming an ocean episode of Cake Boss as we worked) . We next made a cake for little brother with just candles (which he was thrilled with) and practiced counting the candles, singing "Happy Birthday", and pretending to blow them out (over and over again). 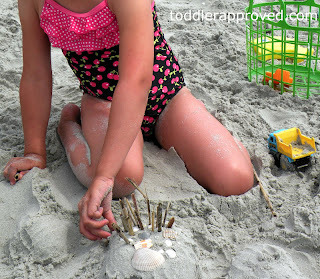 What are your favorite things to do at the beach when the water is too cold to go into? This book follows Lulu's first trip to the beach and her hesitation to go into the water (and how she eventually overcomes her fear). The illustrations beautifully capture the magnitude and wonder of the ocean. 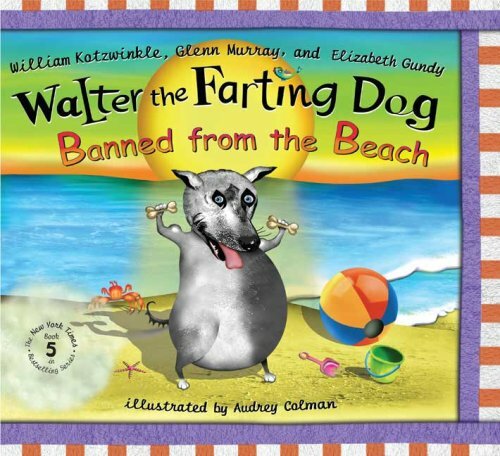 My kids are at a stage where they think farting is hilarious - so they love any book in the Walter series, especially when dad reads them (something about the sound effects). Cute story about how Walter, once again, uses his curse superpower to save the day.